Kony 2012 – Part II… Beyond Famous. This morning, Invisible Children’s next video was released, with updated information, further answers to questions, and suggestions to move forward. Eleven days after the world became aware of the StopKony video, I still believe in the Invisible Children cause. Having listened to, and investigated the concerns that some raised. Having watched the Official video reply. Having watched an interview on Piers Morgan Tonight. Having listened to/read the words of influential people (Oprah, Anderson Cooper, George Clooney) who have been talking about Joseph Kony and the LRA for years, and gaining no public traction. I support Invisible Children, and their #StopKony #Kony2012 #SurrenderKony movement. I will continue to help support individuals in Africa to start and grow businesses, through Kiva Microloans. I will continue (periodically) to electronically lobby law-makers and people of influence, in order to urge them to continue the support of keeping the 100 US Advisers, in Africa, to further assist and help the local Governments in the region to endeavour to catch, and bring Joseph Kony to justice. This campaign has been the subject of much debate, but I don’t see the downside of trying something new, considering that the Lord’s Resistance Army has been marauding the region, and terrorizing the people of various countries, for far too long. It is well past a time where tyrants and mass murderers can operate without fear of the global community. Whether in Syria, Kosovo, Darfur or Central Africa… failing to stop genocide is NO LONGER AN OPTION. 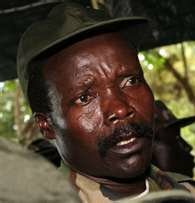 I believe if Joseph Kony lived in North America, he would have been found and brought to justice in mere weeks. But, sadly, the voiceless people of Central Africa have lived in fear for too long, and it is time for the atrocities of the LRA (as well as those in Sudan) to be brought to light, and to the attention of the world… Further, the light needs to be kept there and held long enough to serve notice to our politicians that this is not a passing viral concern, gone next week, and must be addressed. Yes, I am trying to help change the world with a few persistent mouse clicks. As quickly as it came on the scene, people have started grumbling about the Joseph Kony “Kony2012” campaign. The video was filmed over a succession of years, so, just like the hairstyles, some stuff is going to change. Yes, Kony is no longer in Uganda, where he ruled the roost for many years. The folks at Invisible Children have posted a reply to some of the questions and concerns that have been floating around the interwebs. Another endorsement was given by Oprah Winfrey, who donated “big dollars” in support of Invisible Children, and had the group on her show twice. Some people may still have concerns about donating to this campaign. But DO send an e-mail, post a Facebook comment or send a tweet to the 20 celebrities and 12 Political folk, to keep the pressure up. NOBODY should have to live for 20+ years, with a maniac like Joseph Kony roaming free. The video below is about the most-wanted criminal in the world. There are some brief shocking images in this video… but when you watch it, the most shocking thing was that I had no idea that one man could cause so much death, despair and horror… and still be anonymous. Please watch the video through, and share it with your family, friends and those in power, through the links on the Kony2012.com website. Click here to go to the website, to help spread awareness. If, like me, you couldn’t believe that such a man could exist, without us knowing about him… here is a post about the LRA on Wikipedia. 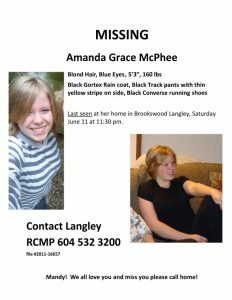 AMANDA has been found !!! Thanks to all the volunteers and helpers !!! As some of you will know, I have been helping to run a campaign during this Federal Election. But I have held my tongue. Partly because I haven’t had time… but also because every day there are so many things I help write. Letters to constituents, speeches, answers to questions… Lots of writing. We get a lot of letters from different sources: individuals, organizations, charities, groups and clubs. A LOT of letters. I am a Canadian grade eight student. In this email I have included an article on the Conservatives, which was written by my mother and I. We have it in two languages: English and Simplified Mandarin. I hope that you would take the time to read it. If you agree with what we have written, please help send it out to all your supporters. By using this method we wish to mobilize all of Canada as well as Chinese-Canadians, who normally do not come out and vote since they have no idea how much impact their one vote can make. They do not know how Mr. Harper is spending billions on fighter jets, cutting down immigration programs and much more. Using this method we hope that we can make all Canadians come out and tell the government what they want and let their voice be heard in the upcoming election. My daughter, in Grade 8, and I wrote this together, because we love and are proud of Canada. As a mother, I teach my daughter that people, not politicians, decide Canada’s future. People vote for Members of Parliament. A Prime Minister has to work with all the elected MPs, including the Opposition that actually represents the majority of Canadian voters. Parliament, not one Prime Minister, represents the people of Canada. Unfortunately, our Prime Minister, Stephen Harper, has shown no respect for Parliament, shutting it down twice, and not giving MPs full information on his spending plans. Politicians have bickered in the past, but never before has a government been judged in contempt of Parliament twice. We don’t want an election, but this one was caused by Mr. Harper’s undemocratic behaviour. 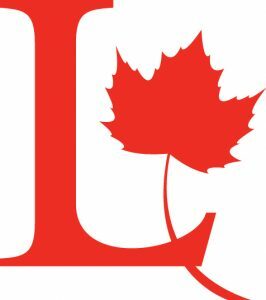 Canada’s priorities should be daycares, a strong Canada Pension plan, a national pharmaceutical drug program, affordable post-secondary education, and help for those in genuine need. This should be at the top of the list: the wellbeing of Canadians. Instead, Harper wants to spend more than $ 35 billion on more fighter jets and more prisons. Harper wants to give tax cuts to corporations like banks and oil companies now, and tax cuts for families much later (only when the government budget is balanced, four or five years from now.) He wants to continue to give extra subsidies to oil companies, since he is from Alberta, the home of the oil sands. Corporate tax in Canada will be cut to 15% next year. This compares to corporate tax of 35% in the US and 25% in China. It is not necessary to keep Canada competitive. It will cost us over $ 4 billion per year. Harper plans to cut spending by at least $ 4 billion per year. He claims that he can do this through efficiencies. But when he came into office five years ago, Canada had a surplus. After Harper’s tax cuts, it became a deficit, which he has been unable to reduce. So either he has not yet tried to govern efficiently, or billions in savings can’t be found simply through efficiencies. Instead, the savings will have to be found through cuts to programs Canadians rely on. But Harper refuses to tell us which ones he will cut. He has already started to cut funding for settlement services, like language training that helps immigrants get jobs and integrate in Canadian society. The total cut is over $ 50 million across Canada, but over $ 40 million in Ontario. Why does this Alberta-based PM care so little about Ontario? What kind of country will Canada be? Harper wants us to agree with his Every Man For Himself philosophy, based on American values. Before he became a politician, he once told an American audience that Canada was a third-rate socialist country, and Canadians were proud of that. He’s too smart to say this in public now, and the Opposition parties have stopped him from doing everything he wants. But if he gets a majority, nobody will be able to stop him from changing this country in the image of the US. Buy 65 stealth fighter jets from the US (The original cost estimate was $ 16 billion, but experts now estimate at least $ 30 billion – if you want to picture how much this is – think of 30,000 stacks of a million dollars each! That will cost EACH PERSON in Canada $1,000. Why do we need so many sophisticated fighter jets? Which country do you think we need to attack? Some people say this election is a waste of time. But we believe Canada is at a turning point in its history. If you want our nation to become more and more like the US, stay at home on May 2 and let Harper get elected with a majority government. But if you don’t want to see the country you love changed beyond all recognition, please vote. Poll stations are not far from your home. Spare a bit of time to help your country. If you agree with us, please forward this to as many people as possible. In my opinion, I think Stephanie and her Mom have said what I feel, better than I could say. On May 2nd, please Vote! People all over the world are fighting for the right that too many Canadians cast casually aside. Get involved… learn about the issues… and Vote. And, if you Vote LIBERAL, so much the better !!! I’ve always been a bit leery of Facebook. Maybe it is the Farmville thing… but I have never found it as connected an entity as Twitter. It might just be that you get out of it, what you put into it… but I do most of my Facebook communicating through my Blackberry, so I don’t see all the “other” stuff. 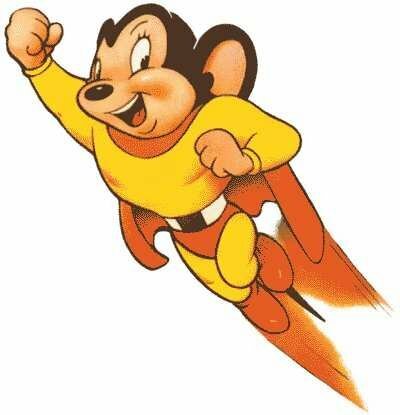 cartoon from your childhood and invite your friends to do the same. an invasion of memories. This is for violence against children. Yeah, I changed my profile pic. But, regardless, as I changed my icon, I thought about this “awareness” campaign, and how it, like LIKING something, usually does no benefit to the cause itself. It won’t do anything for either of us… but THAT’s my point. In an economy where people are struggling, let alone Charities… it is becoming common to SHARE or LIKE something, and have a sense of accomplishment. If an individual is having a struggle, or a tough time, it can be wonderful to have anyone acknowledge your situation or give supportive comments. But other than an emotional lift or acknowledgement… at the end of the day, it gives no tangible benefit. Now, to be clear… To an individual, that acknowledgement can be a huge lift. But to Charities and Organizations, (what I am REALLY writing about here) LIKING or changing an icon only gives an illusion of support. Most of my friends, who are technically savvy enough, changed their icons to Cartoon Characters. In a Vancouver Sun article today, it talks about how Canadians are giving less to Charities. Now I’m not saying that Facebook is 100% responsible… not at all. Certainly the economic downturn probably bears the greatest portion of the blame… but… it is VERY easy to feel like you are involved, or helping something on Facebook. I have a few “FRIENDS” who seem to have nothing to do all day but find different pages of Facebook, and suggest it to their connections to LIKE. The sum total of their day’s efforts, will not benefit any Charities or Organizations in any tangible way, at all. But mostly… be aware that giving a show of support, and actually supporting these Charities and Organizations, are VERY different. In the past few days, a few different people have asked me about Kiva Microloans, so I thought I would write it up in a blog. Lorie (@Loriegray on Twitter) and I have been members since September 2008. Before that, we partnered with Heifer, an Organization that helps folks supply agricultural stock… (Bees, Bunnies, Goats, Oxen) to farmers, so that they may build up their farms. Then we heard about Kiva, which also helps third world countries, but through a series of microloans that they ask be repaid. So, for instance, I have helped fund a business run by Gladis in Peru, who needed some money to buy inventory for her store. This is what Kiva does. Finds someone who needs a hand up… and connects that business with people who have a few dollars to help. A number of strangers, from all around the World, have given this woman, in $25 increments, enough money to start her on her way to a better life. In my experience of ten loans, I have not had a single penny of loans defaulted on. The money usually comes back in fits and starts… I was repaid $8.82 in August, $14.99 in September, and $12.12 in October… which meant I had enough money ($25) to make another loan. I have also given Kiva credit to others as Gifts for Christmas and Birthdays. When I go onto my Profile page on the Kiva website, I can see the various loans I have made, and their repayment status. 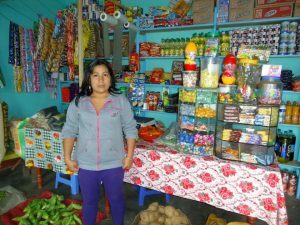 3 loans to Peruvian ladies who wanted to start stores are 100% repaid, as is the loan to a Nicaraguan lady who was starting a Pharmacy. A young mom who started up a beauty salon in Peru is starting to pay her investors back, at 14%. Two different groups, starting up food distribution networks in the country of Burundi, have almost reached the half way point in their repayment plans. And Gladis, who, a few days after my portion was loaned, achieved the full sponsorship, and will be getting the money shortly, so they can begin implementing her business plan. There are others, but that is part of the fun. 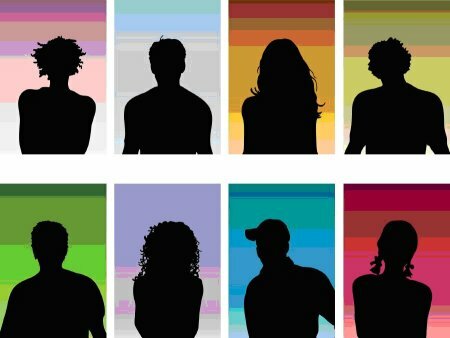 Pick a man or woman. (We almost always pick women entrepreneurs) Pick any country in the world, or choose specifically. Choose an industry. Choose whether you want to support a group, or an individual. There are lots of options, if you choose to be specific… or, you can just pick one of the 1213 current loan requests at random. Each loan request is “vetted” by a recognized Kiva Field Partner, to ensure that the request is a legitimate enterprise, and structured with a sound business plan. Currently I have a little over $120 loaned out to 6 people… So, as an individual, I don’t even make a dent. 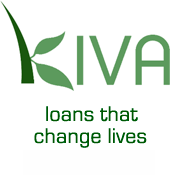 Collectively, as of November 2009, the Kiva Community had facilitated over $100 Million in loans. That is the power of the many. I think it is SO cool, that by loaning someone $25, you can help them start a better life. Once they have had success, they pay you back, and you can help someone else. It is a hand up… not a hand out! And, to me, it is BRILLIANT!!! This coming Friday, in Coquitlam, an after school program will be taking to the streets, to raise funds and awareness of their program. Kateslem is an after school program that tries to ensure quality learning opportunities for vulnerable youth. 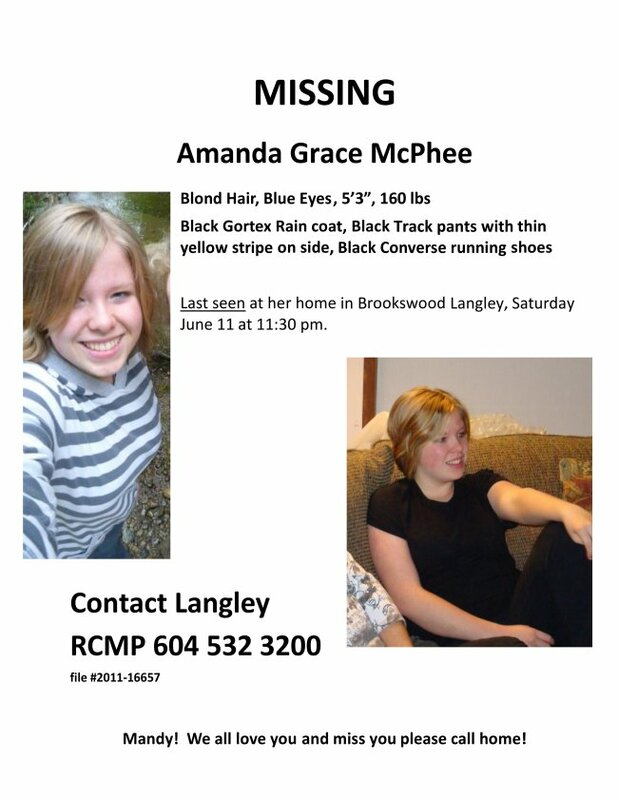 The program is currently being run out of Banting and Como Lake Middle Schools. The Walk starts at Banting Middle School at 4pm. It will proceed along North Road to Austin, up Austin to Como Lake Middle School. It sounds like it will be a fun event, and I hope you can attend… or support their program with a donation. Here is a PDF, with the details. Come on out, it’ll be a great afternoon for a great cause! I will admit it… I’m not much of a Cola guy. I never really “bought into” the Cola War… I thought that the amounts of money being thrown around were ridiculous. Apparently, Pepsi also believes that there is a better use for their advertising dollars, because they are taking some serious money, and trying to do good in the world. Pepsi is giving away cash to fund great ideas. There are a number of different “grass-roots” organizations that have been put forward as suggestions… but ANYONE can suggest an idea. We’re looking for individuals, businesses, and non-profit organizations with ideas that will have a positive impact on communities. Anyone can submit an idea, and you just have to log in, to vote for your favorites. 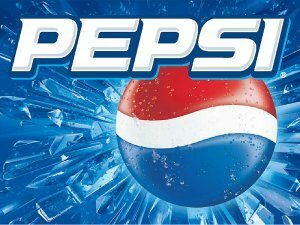 Every “cycle” (2 month period) Pepsi is accepting up to 300 entries from different Organizations, looking for funding. So, for instance, a number of groups made submissions in August, and the “suggestions” of those groups will receive votes from the public, from September 1st through October 31st. So, every two months, Pepsi is kicking out $200,000 to deserving Charities and Organizations. There are a number of different categories: Health, Arts & Culture, Food & Shelter, The Planet, Neighborhoods and Education. You get 10 votes every day, and can vote for any project once, per day. As far as projects that are “local” to me, I found “Covenant House” (a Vancouver shelter for homeless Youth), “S.A.I.N.T.S” (Senior Animals In Need Today Society), “BCSPCA” (BC Society for the Prevention of Cruelty to Animals), and more. These are the finalists, who get a share of the first $200,000 ! 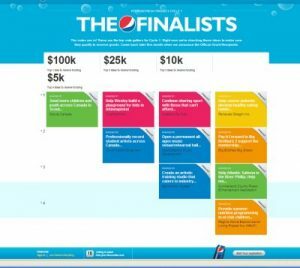 I would encourage everyone to take a few seconds, log in to the Pepsi Refresh Project page, and help decide how to spend Pepsi‘s money !! !